My goals would be able to continue to show my support to the Baby Loss Community by being able to provide low cost or Bulk Pricing for Organizations that provide Memory Boxes to Hospitals, Doctors, Funeral Homes etc for families that lose a child. I currently support 2 groups fully, with several that purchase occasionally, but I would like to be able to see that grow while building the other side of my store as well to balance it out. 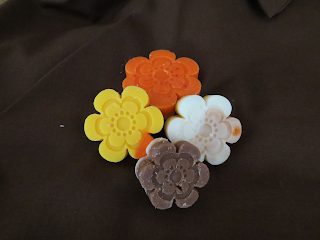 I make soaps as well, I usually only bring them out at Christmas time since they make such great gifts and hope to expand in that area as well this year." Delynn also informed me that she offers special gift packs for weddings and for mothers day or special occasions. Right now she is gearing up for the BIG October 15th day- if you do not know what that is, it was started by Robyn, one of her dear friends that runs October 15th remembering our babies- a night of special time in prayer, and remembering the babies that have passed, and working through that. People all over the world join at a specific time each year and light candles in memory of thier baby(ies) and for thier friends and others. Such a special ministry these women do for the love of others. 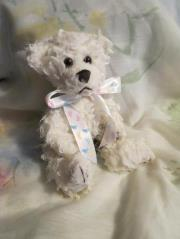 She also has dipped bears- so adorable and so rare she only does them by special order. 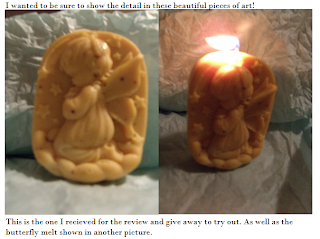 Personally- I purchased several Angels that were praying some boys and some girls- YOU CAN CHOOSE THE SCENTS AND THE COLOR AND WEATHER IT IS A SOAP OR A CANDLE OR EVEN A MELT (TART) . I purchased these as Christmas gifts I have many nieces and nephews they each will recieve a Guardian angel that smells wonderful and each came wrapped each in thier own celophane package with a cute bow ( marked with scent). 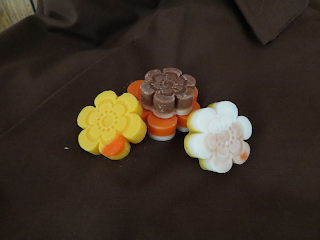 She specialized each one for me- and always has a special going on! As a special gift for me she sent me a melt with a beautiful butterfly and also sent me an extra candle- an angel girl in the scent of lovespell! This truly smells amazing. 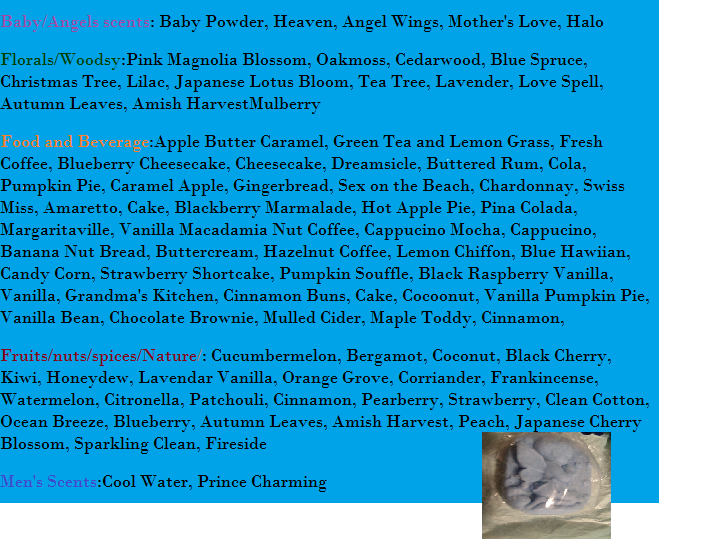 I am including a list of scents on her page. 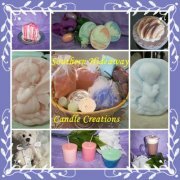 Her Photos are just adorable and you will not be disappointed- her price ranges are $2.00-$30.00 but you will find with her specials and all going on she is more than happy to specialize each one by hand JUST FOR YOUR special ocassion. Now for the give away~~~ she has cooked something up just for us! I would like to try the Blue Hawaiian. Thanks for the giveaway Mellissa! There are so many I'd love to try, but If I had to choose 1, it would be Blueberry Cheesecake.